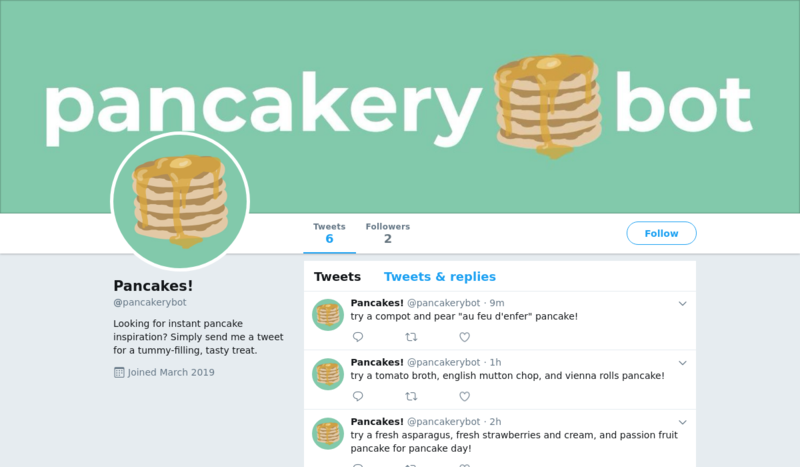 @pancakerybot is a Twitter bot that generates random pancake flavors. try a tomato broth, english mutton chop, and vienna rolls pancake! try a fresh asparagus, fresh strawberries and cream, and passion fruit pancake for pancake day!